Just playing around with Python. 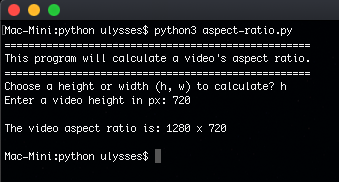 This program a simple calculation of a video’s 16:9 aspect ratio. Just supply the width or height in pixels, it will display the 16:9 resolution.